We have dance tours to the USA & Europe. Take advantage of the fantastic Aussie dollar! We can tailor-make your dance tour to suit. 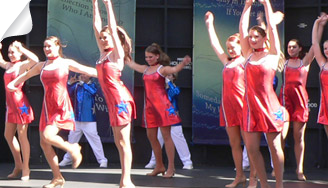 Dance at LA Disney or Paris, in the Parade and on the Disney stages or at Disneyworld - Florida. Dance on a Mexican or Bahamas cruise...the options are endless!! 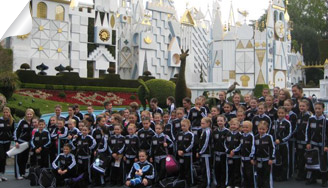 Participate in Dance Master classes at Disney, New York, London or Paris. Take in a show on Broadway NY and meet the actors / dancers after the show. We will customise your tour to suit your requirements. Fundraising assistance available, group presentation and meetings, convenient payment program and the principal has input through the entire booking process. All tours are fully escorted by our experienced tour guides, they will take care of everything so all you have to worry about is having the best time ever.. 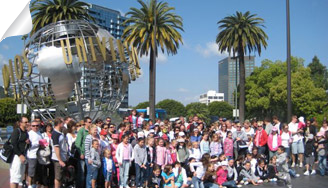 Global Dance Tours can organise all areas of your Dance School tour. 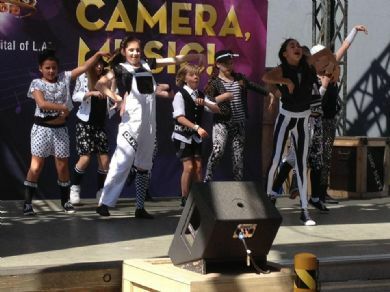 Have your students dance in front of hundreds of international tourists at Disney and Universal Studios. 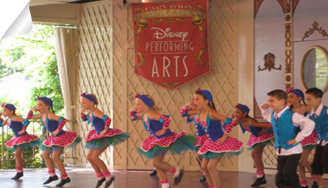 Participate in Disney workshops and have professional dancers teach you the latest dancing moves, dance in the Disney Parade. All this and more opportunities with Global Dance Tours. See our Gallery, Facebook and Videos for other dance scool tours. 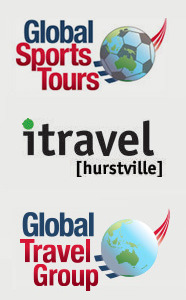 Global Dance Tours are the major sponsors of Get the Beat World Tour 2015. 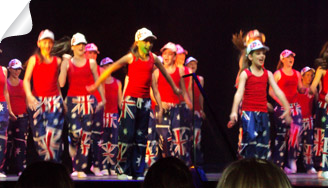 As the original dance tours company in Australia we are proud to be give our support to this premier dance competition. GTB has gone global in 2015, being staged in 11 premier locations throughout Australia, New Zealand and Singapore. Formerly Rosedale Travel Services, the fantastic dance tours are the same, our staff are the same, only the name has changed.